Even though I myself am no longer an indie polish maker I think it is important to support other UK based Indie brands. It is easy to forget behind the brand is a real person- a person who puts alot of time and effort into producing a high quality products. 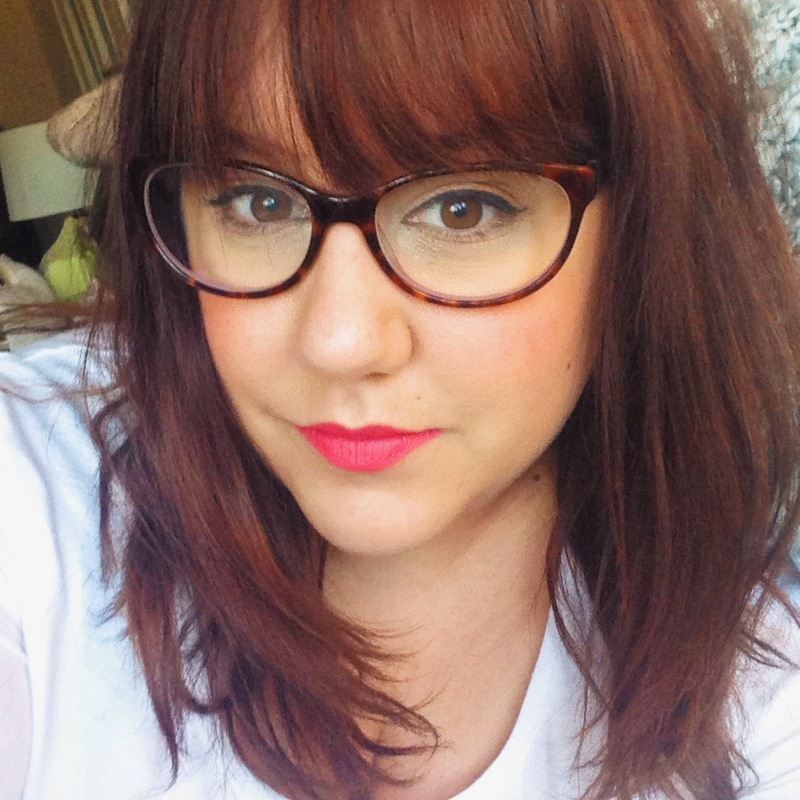 This little series helps to put a face to the brand and get to know the brands a little better. 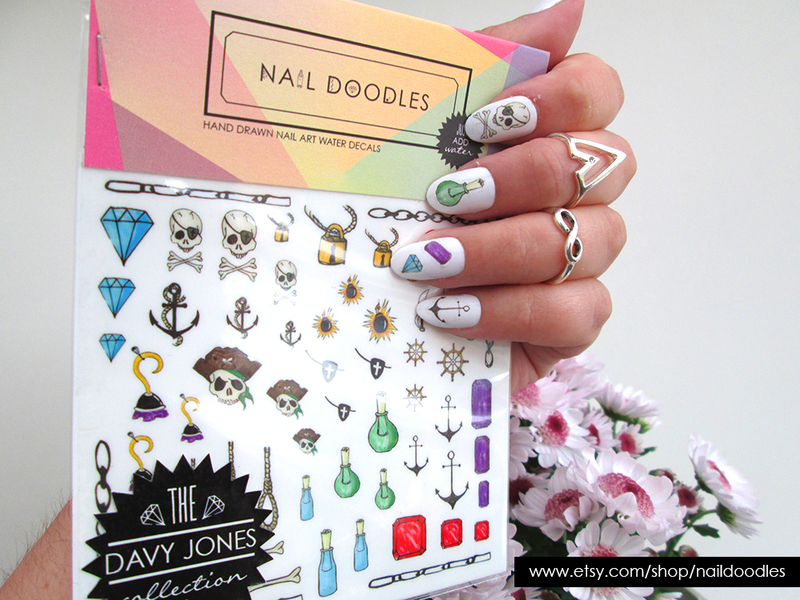 Today is something a little different it is a interview with a brand who produces high quality hand drawn nail decals. Please show your love by leaving a comment and supporting an independent business. 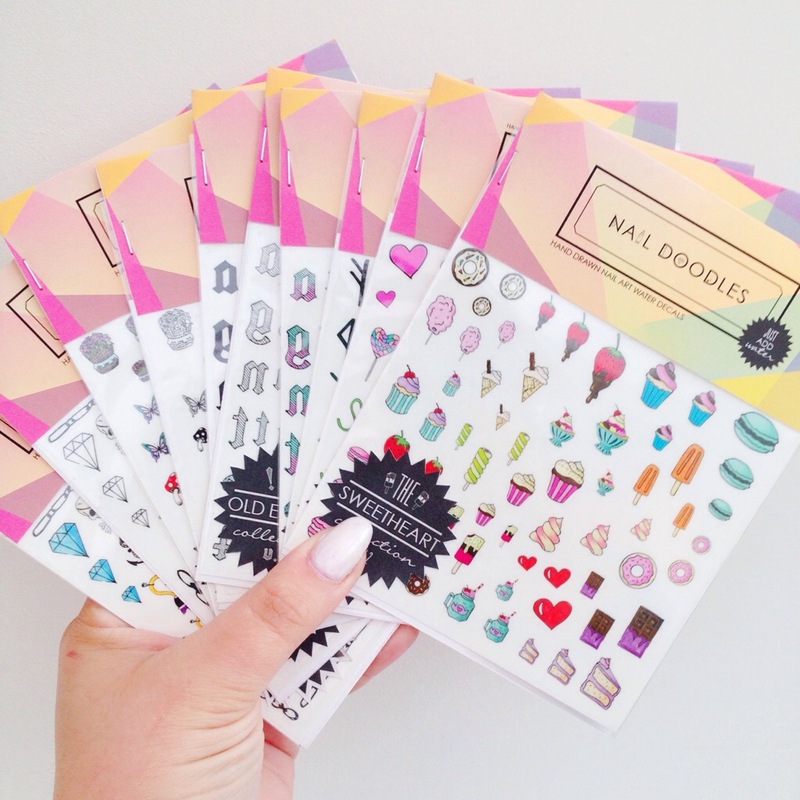 Abbie also kindly sent me some nail decals to try which I will be showing you tomorrow, let me say now I am super impressed! 2. How long have you been selling for? 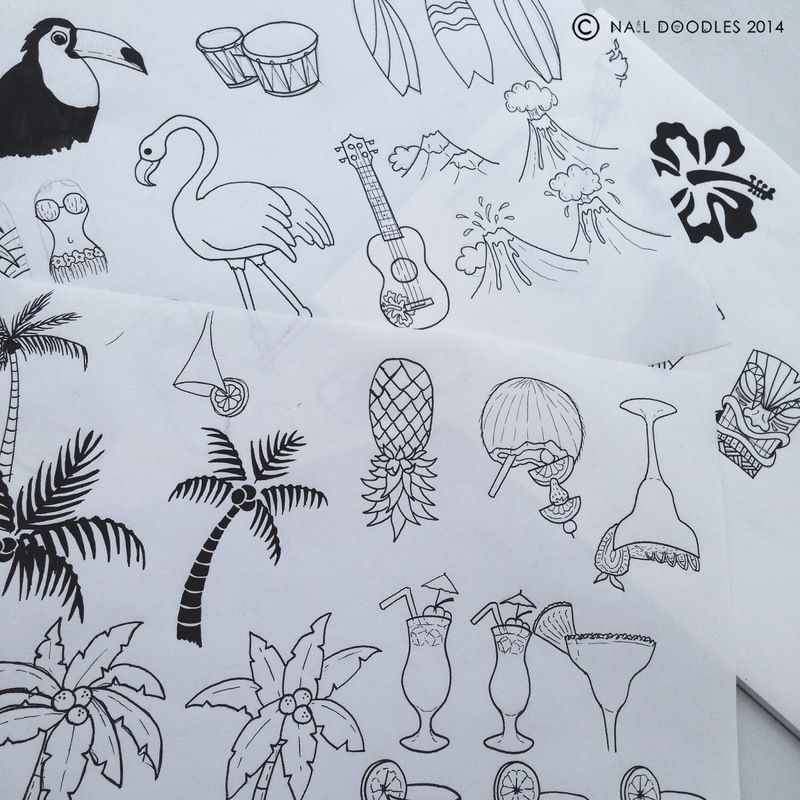 Nail Doodles is a very new, very young adventure, and has been live since the 26th May, 2014. 3. What made you start making decals? The concept behind my brand was born towards the end of 2013, a few months after I qualified as a nail tech, when I was experimenting with nail art and trying to figure out what I wanted to do with my skills, and where I would fit in. Eventually I discovered nail decals and fell in love with them, and the idea that they could give anyone, no matter what their creative skill or budget, beautiful unique nails. 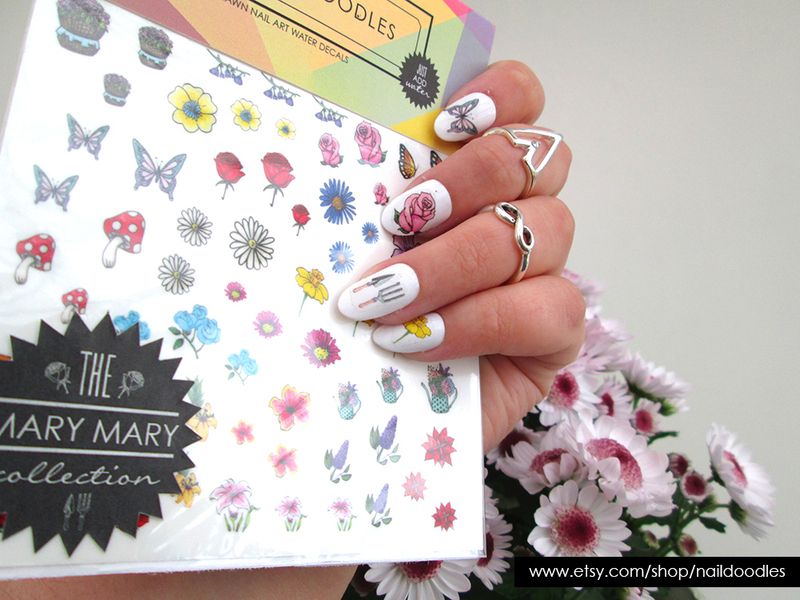 The hand-drawn nature of my decals were simply because there are hardly any out there, especially in the UK, and it made sense to combine my nail skills with my graphic design background. It took me a long time to test and perfect the product that I have today, but I'm really proud of my achievements and have nothing but big hopes and dreams for the business. 4. What inspires your designs? Everything!! I take my inspiration from whatever catches my eye, be that something from the fashion, art & design or entertainment world, or simply from nature itself. That's the beauty of being creative, you can find inspiration from anything. 5. What was the first decals you made and why? I think the first decals I wanted to do were the runes collection. I've always been fascinated by witchcraft and one of my main design passions is typography, so after watching The Mortal Instuments: City of Bones and seeing how beautiful the ancient alphabet really is, I did loads and loads of research as well as looking for them in decal form, and though there are a few out there, I did not find any that were hand-drawn so jumped at the chance. 6. What is your favourite image and is it the same as your most popular one? I would say that my favourite collection at the moment is sweetheart v.2. There are two versions basically because I drew so many different things for the collection, and couldn't narrow it down to just 20, so I decided to just include them all! In terms of my most popular, there has been quite a broad range of purchases, and my top sets at the moment are sweetheart v.2 and old english v.1. But I love all my collections and design them as something I would want to wear on my nails, so I'm just happy that other people like them too. 8. Do you have any tricks for applying them? I try to make my decals as vibrant as possible, but because they are handmade they are semi-sheer, so work best over lighter shades like whites, nudes and pastels. Make sure your base colour is dry before applying them, and always use a good top coat for extended wear. My favourite is seche vite. Also don't be afraid to cut down the designs, and experiment by maybe using one image over two nails. 9. What makes your decals different from all the other ones out there? I think what makes my decals stand out the most, is that they are all hand-drawn, and I think it gives them a more personal touch. As well as the decals being hand-drawn, every aspect of the product is handmade by me, from the envelopes recycled from magazines to the hand cut collection stickers. Plus, I have combined the technique of applying water decals with temporary tattoos to make my decals, to eliminate air bubbles and make them adhere better. I have also tried to cater to all nail forms by having each design in three different sizes, so theres something for everyone :) AND I offer a custom design service. So if you have a special birthday or event coming up, maybe launching a new business, or just want your own personal set, we can definitely make that happen! 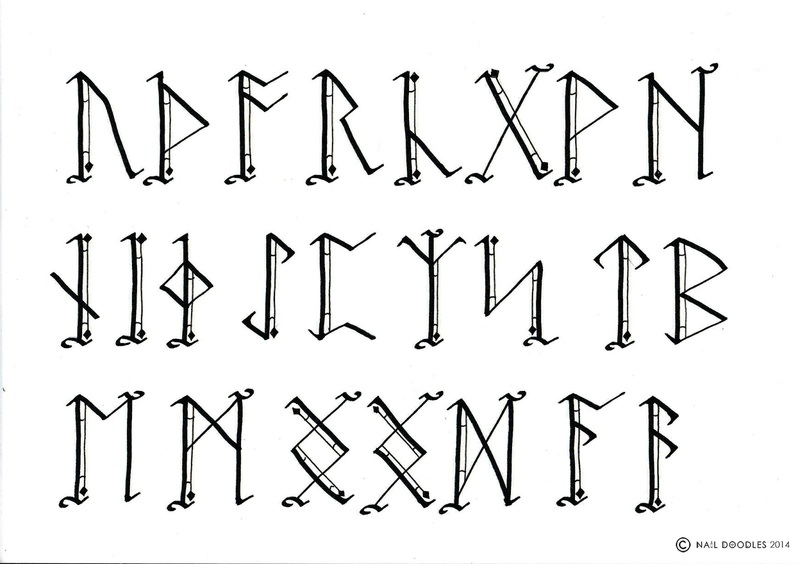 I drew a whole other version of my runic alphabet to go with the one I currently have on offer, but the designs didn't look great on a small scale. Sometimes I have to be strict with myself on the detail that goes into my decals, which sometimes can be hard. I am disappointed that they couldn't be used because I put a lot of time and effort into drawing them, but I now know for future collections what works and what doesn't. Great interview. 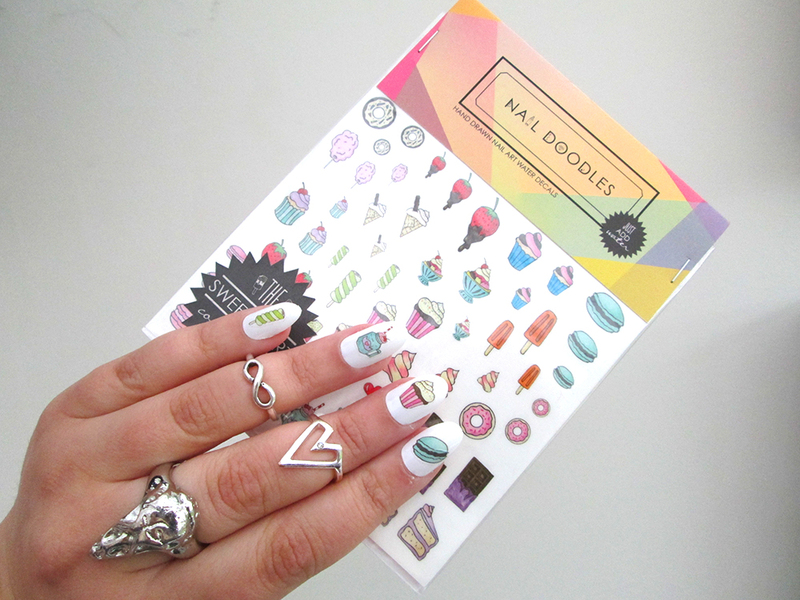 She makes some adorable nail decals!